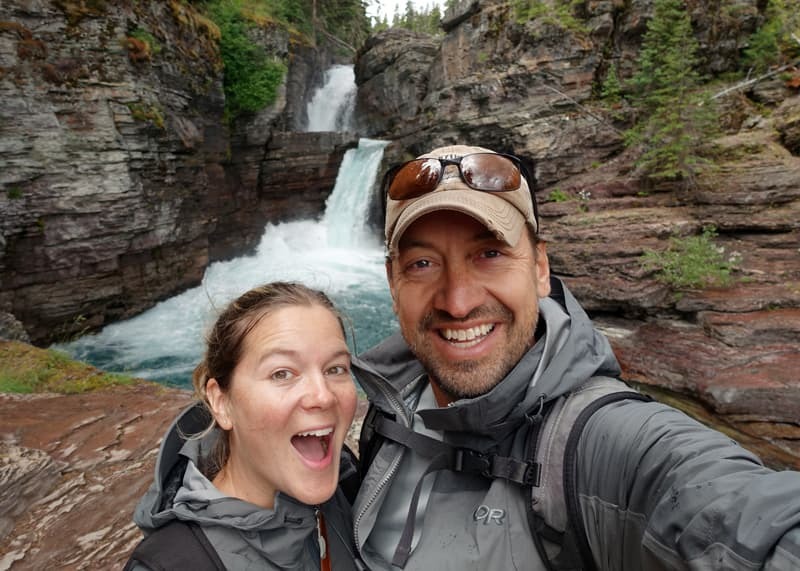 To escape the time-draining comfort traps of modern life, Jase and Lauri Stumph sold almost everything and hit the road full-time in an Airstream travel trailer and Hallmark pop-up truck camper. Here’s what they’ve learned from living their dream. For some reason, many folks believe they can only own one type of RV. For example, they’ll own a fifth wheel trailer and then won’t even consider the possibilities of adding a pop-up truck camper. 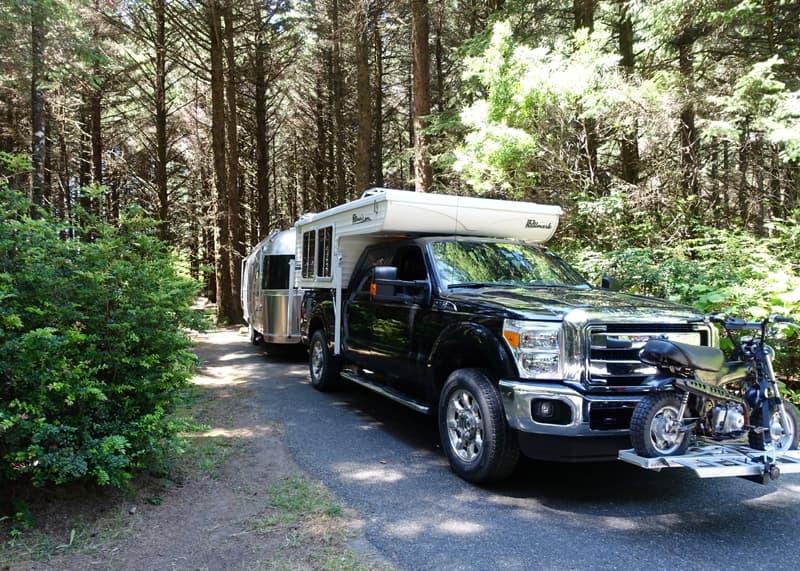 Once you pick an RV type, that’s it – right? Not just no, but heck no! That’s a bit like saying that people who own a Toyota Camry sedan can’t also own a Harley Davidson motorcycle. Other than both being transportation machines, they’re apples and oranges with completely different utilities (not to mention fun potential). That’s why millions of people own both a car and a motorcycle. Feel better now? Good. Now get down before somebody sees you. Jase and Lauri Stumph had a somewhat different epiphany that led them to a similar conclusion. After twelve years of home ownership, they realized that they wanted a bigger and more social lifestyle. They discovered that the memories their stuff represented were more important than the stuff itself. And then, most likely with their shirts on, they decided to do something about it. 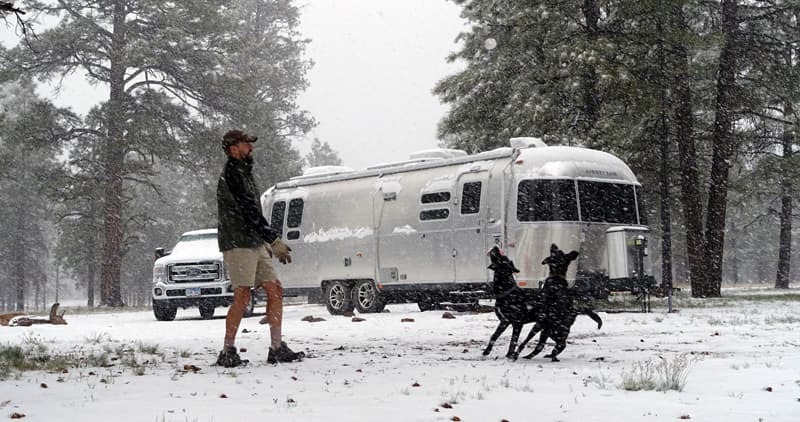 Jase and Lauri bought an Airstream, sold their house, and liquidated most of their stuff. They hit the road full-time, exploring the National Parks and meeting wonderful new friends. Everything worked out great – except for one thing. They wanted to go further; further off the beaten path, further in distance, further into their dream lifestyle. Adding a pop-up Hallmark truck camper was just the ticket. Jase: I grew up in northern Wisconsin, so there was no need to go camping because we already lived in the woods. Over the years, Lauri and I have had quite the collection of tents and camping gear. We always preferred backcountry camping and took time to go on weekend camping trips during our regular life. We also tent camped during extended family gatherings, surrounded by our family in their RVs. Lauri: Growing up in Minnesota, my summers were spent tent camping. Later my family had a Coleman pop-up camper. In November of 2013, we looked at everything the local RV dealership had; Tab trailers, A-liners, and even fifth wheels. That February we went to a RV show, saw an Airstream, and loved it. We couldn’t afford a new one, but the Airstream dealer had a used one coming in. We put money down on the used Airstream without even seeing it. Jase: We got the Airstream in April of 2014 when it came out of winter storage. We finished projects on the house and got it ready to sell. At first we thought we would rent it, but honestly I dreaded the idea of renters calling me for help in the middle of the night. TCM: So how did you get into truck camping?